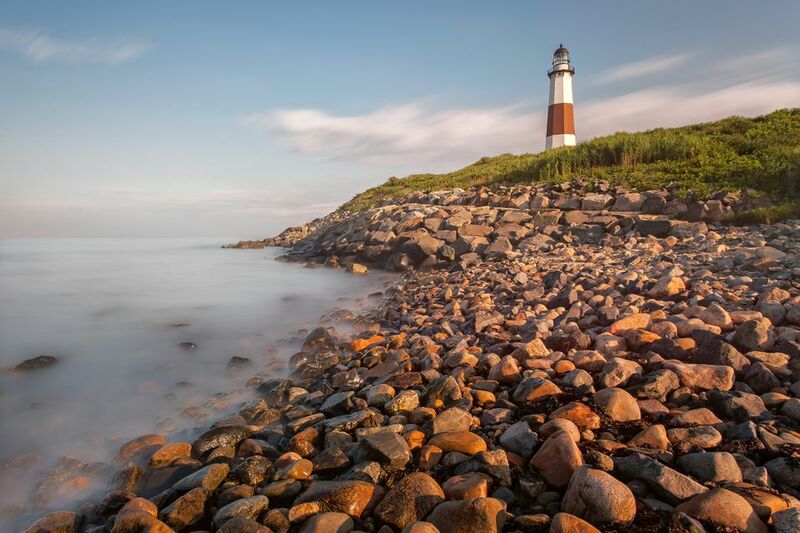 Long Island, NY features a number of ferries that sail to places like Fire Island, Block Island (Rhode Island), New London (Connecticut) and more. Read about the ferries that ply the waters around this fish-shaped island on the Atlantic and plan your day trip, weekend trip, or staycation. There are several options if you want to sail from Long Island to Fire Island, all depending on which areas of Fire Island you wish to visit. About 30+ minutes each way. Passengers only, no vehicles. To and from Bayshore and Fire Island's Ocean Beach, Ocean Bay Park, Fair Harbor, Kismet, Saltaire, Seaview, Dunewood/Atlantique. 30 minutes each way. Passengers only, no vehicles. Ferries from Patchogue to Leja Beach and Ocean Ridge, Fire Island, and back. Drive or take the Long Island Rail Road to Montauk, a.k.a. "The End," and catch a Viking ferry to idyllic Block Island, Rhode Island. The ride is approximately 55 minutes. Passengers and bicycles. No cars. Auto ferry: Passengers, cars, trucks, motorcycles. (Free shuttle bus service to Foxwoods and Mohegan Sun.) Boarding is first come, first serve. Reservations not accepted. 40-minute ride each way - Orient Point, NY to/from New London, CT. Runs 365 days/year. The ride is one hour and 15 minutes each way. Passengers, cars, trucks, buses, car/trailers, motorcycles. Bicycles allowed (no extra charge.) Pets allowed leashed or in a pet carrier. Pay your fare onboard at the bursar's booth. Reservations recommended. Discount for seniors (60+), walk-on passengers. Children 12 and under ride free with an accompanying ​adult. Approximately 20 minutes each way. Note: there are no bathrooms on the ferry, but there is one at the ferry terminal in Sayville. No vehicles on ferries. However, leashed dogs are allowed on the ferry. The Sayville Ferry sails to many of Fire Island's areas, including Cherry Grove and Fire Island Pines which have long been favorites of the gay community. Operates all year. ​The ride is approximately 5 minutes. No reservations are taken. You board on a first come, first served basis. Passengers, cars, bicycles, trucks allowed. Vehicles and bicycles pay on board. Only cash and checks accepted. Year-round service. The ride is about 5 minutes each way.